Facebook is officially the most-visited website in the US this week, knocking Google off of the top spot – where it has been since 2007. 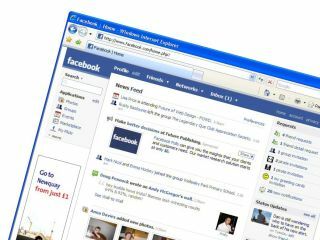 Facebook has been enjoying phenomenal growth in 2010, with the site showing a 185 per cent increase since March 2009. Hitwise, which monitors everything web, web, web, noted that Facebook had 7.07 per cent of all US visits in the week ending 13 March, compared to Google which hosted 7.03 per cent. Interestingly, the last site to nab the number one spot from Google was MySpace back in 2007. Facebook will be hoping that this isn't an ominous sign of things to come. Facebook also enjoyed being the number one site in the US over Christmas Eve and Christmas Day, but it couldn't hold on to the position for the whole week. With 350 million plus visitors worldwide, Facebook's popularity has never been greater – then again, just two year ago MySpace must have been thinking exactly the same thing.